Louis Kevin Celestin (born August 25, 1992), known by his stage name Kaytranada, (stylized as KAYTRANADA, shortened as KAYTRA), is a Haitian-Canadian DJ and record producer. Celestin began his career under the alias Kaytradamus in 2010. Celestin began his career under the alias Kaytradamus in 2010. He released 2 projects as Kaytradamus before changing his name to 'Kaytranada' in 2012. To date, Kaytranada has released a total of thirteen projects and forty-one remixes. Kaytranada has toured more than 50 Canadian, American, European and Australian cities. 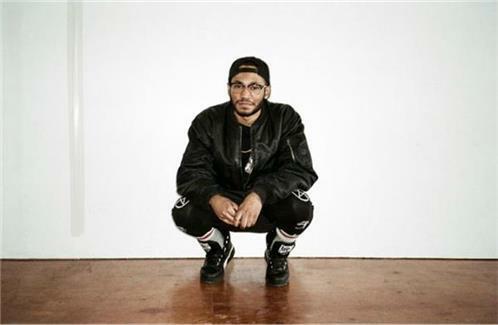 During 2015, Kaytranada opened for two nights of Madonna's Rebel Heart Tour, one in Canada and one in the United States. Announcing via his Facebook page, he signed an exclusive recording agreement with XL Recordings' in December 2014. His long-awaited debut album, 99.9%, was released on May 6, 2016. The album includes features from GoldLink, AlunaGeorge, Syd, Anderson .Paak, and Vic Mensa among others. He also did a collaboration with Craig David, on the song "Got It Good", which is also included in David's sixth studio album, Following My Intuition. Speculation arose that Kaytranada and eight-time Grammy award-winning producer Rick Rubin had started working together when a photo of them surfaced online around February 2015. It was later confirmed that they did, in fact, enter in a partnership for his publishing, that is backed by Pulse Recordings based in Los Angeles.